Leonardo Pisano Bigollo was an Italian mathematician. He is usually better known by his nickname, Fibonacci, and is considered to be among the foremost European mathematicians of the medieval era. He was instrumental in bringing the widespread use of Arabic numerals to the West. The Fibonacci number sequence is named after him, although he merely referenced it rather than devising it himself. The details of Fibonacci’s childhood and upbringing are almost completely unknown, and what has been deduced has been worked out largely from notes he placed in his own works. There are no contemporary drawings of him, all portraits having been produced after his death. However, he is thought to have been born in the Italian city of Pisa, the son of a prosperous merchant who may have been the Pisan consul in modern-day Algeria. For this reason, he is often said to have received an education somewhere in northern Africa. While still a youngster, Bigollo went with his father to assist his commercial and diplomatic operations in the nearby sultanate of Almohad. While he was there, he experienced the use of the system of Hindu-Arabic numerals, at that time almost unknown in the West, where Roman numerals were still the standard. He quickly realized that this new number system would make arithmetical operations far quicker and allow them to be carried out with greater efficiency than the old Roman system. During the last few years of the 12th century, Fibonacci undertook a series of travels around the Mediterranean. At this time, the world’s most prominent mathematicians were Arabs, and he spent much time studying with them. In about 1200, he returned home to Italy, and two years later he published his book, Liber Abaci. This work, whose title translates as the Book of Calculation, was extremely influential in that it popularized the use of the Arabic numerals in Europe, thereby revolutionizing arithmetic and allowing scientific experiment and discovery to progress more quickly. In Liber Abaci, Fibonacci used as an example a problem regarding the growth of a rabbit population. The sequence of numbers which he used to solve the problem was that which later became known as the Fibonacci sequence. However, it had been known in India several centuries earlier; this was merely the first time that it had been seen in Western mathematics. The fact that the ratio of successive numbers in the sequence tends to the Golden Ratio of around 1.618:1 may or may not have been known to Fibonacci; in any event, he did not mention it in his book. 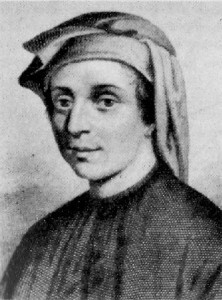 Fibonacci published several other mathematical works, although not all have survived. These include a compendium of surveying, works focusing on geometrical problems, and a commentary on the Elements of Euclid. He also wrote extensively on commercial arithmetic, although these writings have been lost. The Holy Roman Emperor, Frederick II, was interested in science and mathematics, and Fibonacci stayed with him for a while. By 1240, the mathematician’s standing was such that he was granted a salary by the Pisan Republic. Fibonacci died in his home city at some point no later than 1250, although the precise date and circumstances of his death are unknown.